Armed with a macro lens, an incredible eye for detail, and a truly groundbreaking vision, Lisa Johnson’s guitar art is taking the world of fine art photography on a rock-and-roll ride. Check out this awesome video promo for 108 Rock Star Guitars! 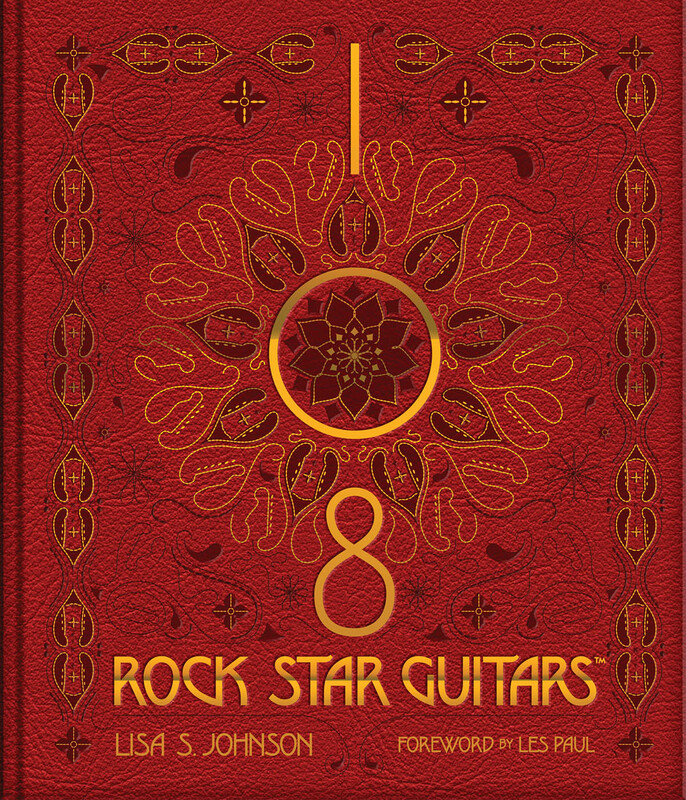 Today is the official release date for Lisa Johnson’s epic 108 Rock Star Guitars! Check out the special preview below and be sure to grab a copy of this magnificent volume. 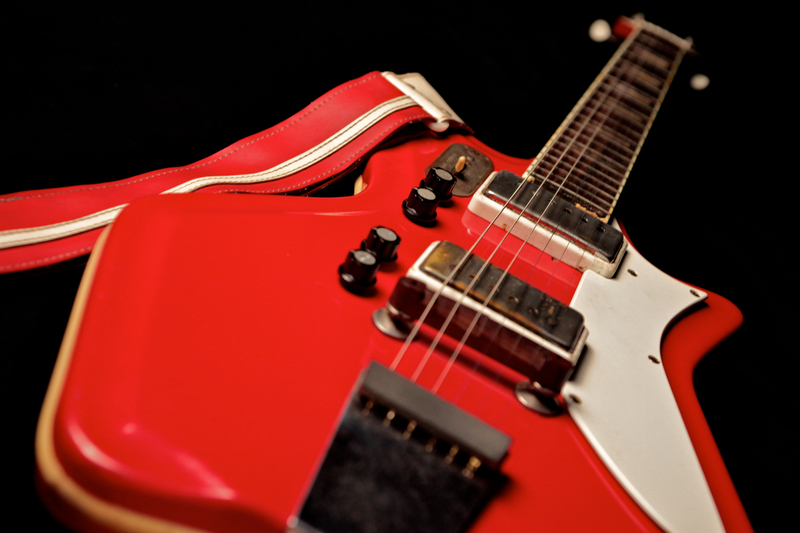 Lisa S. Johnson has a story about each an every guitar she photographed on her journey to create 108 Rock Star Guitars. Tune in to her Youtube page every week to hear a new story. Here she is talking about her experience in photographing Phil Collen’s custom Jackson. USA Today called it a “monster of a coffee table book…a trip through rock ‘n’ roll history.” Brian Setzer said it was “the classiest guitar book I have ever seen.” And Ted Nugent stated simply, “Lisa Johnson has created a masterpiece.” Last fall, the publishing and music worlds were shaken to their cores by the arrival of 108 Rock Star Guitars, Lisa S. Johnson’s collection of stunningly personal and intimate portraits of the cherished guitars owned by the gods of rock. The 396-page art book, available in two editions, one bound and embossed red leatherette and a second, deluxe limited edition packaged in a die-cut collector’s book, were the most-talked-about coffee table books of the year. This November, Hal Leonard Books will publish a more affordable, but no less appealing paperback edition, allowing even more rock and roll and guitar fans to get a backstage pass to witness these six-stringed works of art. The book, to be released on November 11, will retail for $54, half the price of the hardcover original. “I am thrilled that Hal Leonard, with its global distribution channels, will publish the softcover edition of 108 Rock Star Guitars this fall and, in the process, maintain the luxe style of the hardcover edition,” Johnson said. In 108 Rock Star Guitars Johnson employs her signature macrophotography style featuring intimate details, etchings, totems, and personal touches that embody the true spirit of the musician and that few have seen from this perspective. Alongside these images, Johnson provides personal anecdotes describing her long quest to photograph these iconic instruments and documents her travels from backstage hallways to some of the world’s most famous venues to the artists’ private homes. Les Paul, Eric Clapton, Bruce Springsteen, Jimmy Page, Keith Richards, Nancy Wilson, Bonnie Raitt, Slash, Carlos Santana, and Jack White are just a few of the rock stars whose instruments are captured in the book’s 396 pages. At BEA, Backbeat Books will give away 108 Rock Star Guitars souvenirs, including guitar picks and minibooks, and hold a drawing for an autographed copy of the hardcover edition. Stop by Booth 821 to enter for a chance to win! For more information about the paperback edition of 108 Rock Star Guitars, coming in November from Hal Leonard Books, visit the Hal Leonard Performing Arts Publishing Group at BEA in Booth 821, or check out Lisa’s website: www.108rockstarguitars.com.